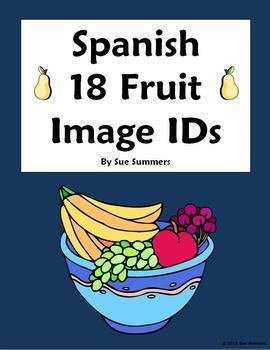 Students write the Spanish fruit vocabulary word under each of the 18 pictures. After students complete the assignment, it can be retained as a helpful review sheet or it could be cut apart later and used for flashcards. This can also be projected in class and used to play the flyswatter game. The answer key is included. 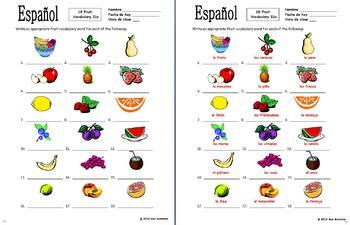 This can be projected and used when for introducing and reviewing vocabulary with students.